THANK YOU to all who made the MMFI Leadership Conference 2018 a great success! MMFI Affiliates, the MMFI Apostolic Board, Ignite Church and team, and all those who worked behind the scenes in registration, preparation, prayer, and logistics. Thank you! We enjoyed being together in His presence and came away equipped and strengthened for the exciting Kingdom journey ahead. Conference recordings will be posted SOON! 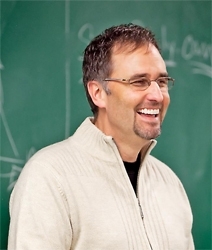 Mark Pfeifer was born into a family ministry, and represents the fourth generation of ministers from the Pfeifer family. Mark began traveling full-time in 1981, and in 1983, he began to pursue his education and to fulfill the evangelistic call upon his life. After 8 years evangelizing, Mark and his wife Nicki birthed a ministry in Chillicothe, Ohio. In 1991, they started Open Door Ministries, a local congregation with a greater vision for their region, state, and the nations of the world. Through the years, Mark and Nicki have worked to fulfill their ministry vision by expanding their leadership to include several churches in the United States and abroad. Mark oversees SOMA, a network of non-denominational churches. He and Nicki have three children, Andrew (and wife, Lyndsie), Alexandra Pfeifer Eldridge (and husband, Bryce), Austin, and one granddaughter, Edyn Nicole Pfeifer. ﻿Thank you, Ignite Church, for hosting our 22nd Annual Leadership Conference!